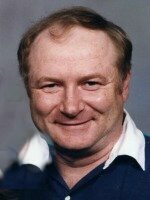 James H. ‘Jim’ Ziemer of Plainwell, Michigan, passed away Monday, January 30, 2012 in Kalamazoo. Mr. Ziemer was born June 24, 1948 in Gladwin, MI to Harold and Bernice (Reimer) Ziemer. For over 20 years he was employed with Perrigo Co. in machine maintenance and earlier in his life had been employed as a builder. In his leisure time he enjoyed deer hunting, watching the Tigers, Lions and NASCAR, cooking, golfing and animals, especially dogs. Jim was a Michigan State fan, had raced cars at the Kalamazoo Speedway and enjoyed riding dune buggies. On May 6, 1978 in Otsego he married Colleen Kelsey, who survives. Also surviving are his mother, Bernice Ziemer of Lake, MI; siblings, Lester Ziemer of Lake, MI, Dianna (Bruce) Phillips of AZ, Connie (Mike) Keehn of Clare, MI, Greg (Barb) Ziemer of TX, and Tim (Kris) Ziemer of Eaton Rapids, MI; several nieces, nephews, aunts, uncles and cousins. Friends may visit with his family from 2 to 4 and 6 to 8 P.M. Friday at the Winkel Funeral Home, Otsego, where funeral services will be held at 11:00 A.M. Saturday, Pastor Joe Shaler officiating. Burial will follow at Mountain Home Cemetery, Otsego. Contributions in memory of Jim may be made to Kalamazoo Animal Rescue, the Otsego United Methodist Church or to the family. 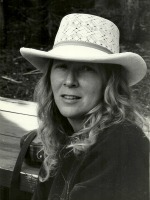 Gail Gilmore of Kalamazoo, Michigan, passed away Friday, January 27, 2012 at her home. Gail was born October 28, 1952 in Plainwell to Kenneth and Marjorie (White) Gilmore. For many years she was employed with Angle Steel and many other jobs. In her leisure time she enjoyed sewing, traveling, painting and especially enjoyed being with family. Surviving are her children, Bob (Cheryl) Heckman of Shelbyville, Maggie (Chad) Bronson of Kalamazoo, and Ben (Jessie) Babbitt of Plainwell; grandchildren, April and Zach Heckman, Lucas, Haylee, Brynlee and Ayden Babbitt; her companion of 18 years, Hal Quinn; father, Ken (Geraldine) Gilmore of Kalamazoo; mother, Marge Gilmore of Allegan; sister, Lynda Gilmore of Sault St. Marie; brother, Kenneth Gordon (Sharon) Gilmore of Kalamazoo; several nieces and nephews. She was preceded in death by her brother, Lyle Gilmore. In keeping with her wishes, cremation has taken place. Friends may visit with Gail’s family from 2 to 4 P.M. Wednesday at the Winkel Funeral Home, Otsego. A luncheon at the Otsego V.F.W. Post #3030 will follow. Contributions in memory of Gail may be made to Deaf and Hard of Hearing Services. Irene “Dutch” Dendel of Plainwell, Michigan, passed away Friday, January 27, 2012 at Bronson Methodist Hospital with her family by her side and went to be with her Lord. Mrs. Dendel was born June 1, 1925 in Otsego Township to James and Julia (Thorp) Boylan and was a lifelong resident of the area. For 20 years she was employed with Kal-Equip, retiring in 1985. She attended the Otsego Church of God. For many years she served as a Cub Scout Den Mother and was an active member of the V.F.W. #3030 Ladies Auxiliary, working Bingo at the V.F.W. #3030 Post and at the Allegan County Fair. Irene loved her family and was a wonderful mom and grandma. Surviving are her children, James (Willa) Dendel of Otsego, Kathrine Dendel of Plainwell, Raymond Jr. (Sarah) Dendel of Plainwell, Ronald (Ana) Dendel of Kalamazoo and Dean Dendel of Otsego; a son-in-law, Larry (Gwen) Digby of Plainwell; 25 grandchildren; 28 great-grandchildren; 2 great-great-grandchildren; her twin sister, Eileen “Mick” Davis of Allegan; many nieces and nephews. She was preceded in death by her husband, Raymond Dendel, Sr.; daughter, Irma Digby; daughter-in-law, Sherrie Dendel; 2 grandsons, Scott Dendel and Arnold Digby; a great-grandson, Alex Dendel; sisters, Tressa Vote and Virginia Faucher; brothers, George, Gerald, James Jr., Irvin and Albert Boylan. Friends may visit with her family from 2 to 4 and 6 to 8 P.M. Tuesday at the Winkel Funeral Home, Otsego. Funeral Services will be held at 2:00 P.M. Wednesday at the Church of God, Otsego, Pastor Stephen J. Burrow officiating. Burial will follow at Mountain Home Cemetery, Otsego. Contributions in memory of Irene may be made to Warner Camp. Ardena J. 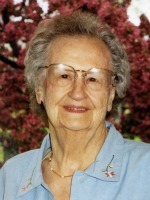 “June” Zander of Otsego, Michigan, went to be with our Lord on Friday, January 27, 2012. Mrs. Zander was born May 21, 1937 in Doster, Michigan to Elmer and Wava (Ives) LaFountain and was a lifelong resident of the area. In 1971 she began working for Parker-Hannifin Corp., retiring in 1997. In her leisure time she enjoyed mushroom hunting, spending time with friends and family, shopping, and was a regular at Wal-Mart. She loved going to the Allegan County Fair to play Bingo. Ardena especially enjoyed being with her grandchildren. On February 6, 1970 in Otsego she married Detlef Zander, who died in 1996. She was also preceded in death by siblings, Linford Neal, Donna Russell, Ronald, Richard, Lewis, Sut and Gary LaFountain. Surviving are her son, Mark (Suzanne) Zander of Otsego; five grandchildren, Matt, Alan, Kayla, Jessica and Erika; siblings, Ward Neal, Berena Gurd, Deroma Shoup and Linda Bower; many nieces and nephews. Friend may visit with her family from 2 to 4 P.M. and 6 to 8 P.M. Monday at the Winkel Funeral Home, Otsego, where Funeral Services will be held at 11:00 A.M. Tuesday, Pastor Joe Shaler officiating. Burial will follow at Mountain Home Cemetery, Otsego. Contributions in memory of Ardena may be made to the American Cancer Society. 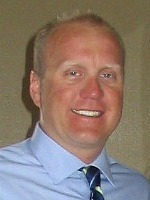 Scott Thomas Kruithoff of Parker, Colorado, passed away suddenly January 4, 2012. Scott was born April 1, 1970 in Kalamazoo, Michigan, where he spent his childhood and attended Plainwell schools, graduating in 1988. He was an Army combat veteran and member of the 984th Military Police Company. His service included deployments to Panama, Jordan, Guantanmo Bay and to Iraq during Operation Desert Storm. Scott is remembered for the love, laughter, loyalty and honesty he shared so easily with all who knew him. Scott is survived by his wife of 10 years, Lisa, and their daughters, Allison and Riley; his parents, Cheryl Case and Tom Kruithoff; grandparents, Walter and Barbara Adams and Arnold Kruithoff; siblings, Jodi Cook, Leah Darrow, Cy Kruithoff and Jonah Metzer. He was preceded in death by his step-mother, Judy Kruithoff, and grandmothers, Helen Adams and Evelyn “Annie” Kruithoff. A Graveside Service, with Military Honors by V.F.W. Post #3030, will be held at 11:00 A.M. Saturday March 3, 2012 at Mountain Home Cemetery, Otsego. The family would like you to join them for a reception and sharing of memories at the Otsego V.F.W. Post #3030 following the burial service. Donations may be made to The Kruithoff Memorial Fund/Lisa Kruithoff at 1st Bank, P.O. Box 150097, Lakewood, CO 80215-9981. 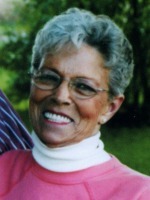 Karen Piper of Otsego, Michigan passed away Wednesday, January 25, 2012 in Allegan. Mrs. Piper was born June 3, 1939 in Ryder, North Dakota, to Edward and Valborg (Eide) Davis. 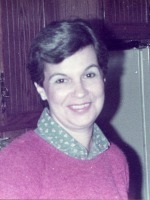 Karen was a devoted wife, mother and grandmother. She attended the Alamo Community Church and was an active member of the Women of the Moose. In her leisure time she enjoyed gardening, reading and working jigsaw puzzles. On June 30, 1958 in Drake, ND, she married Charles Piper, who survives. Also surviving are three daughters, Nancy (Elmer) Sabin of Munising, Charlene (Terry) Bonnell of Otsego and Katrina (Robert) Garver of Florida; 8 grandchildren; 8 great-grandchildren; her mother, Valborg Davis of Plainwell; siblings, Sandra Beach, Lois Reinhardt, Lila McDermid, Gordon Davis and Dorothy Bissonette; several nieces and nephews. She was loved and considered a mom and a grandma by many more. Preceding her in death were a daughter, Rhonda Piper; a brother, Sterling Davis; and her father; Edward Davis. In keeping with her wishes cremation has taken place. A Memorial Service will be held at the Winkel Funeral Home at 11:00 A.M. Monday, Pastor Bill Walker officiating and a service by the Women of the Moose. Burial of ashes will be at Mountain Home Cemetery, Otsego, at a later date. Contributions in memory of Karen may be made to Wings Home or Wings of Hope Hospice. 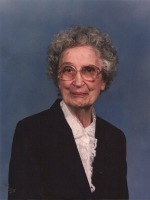 Pearl Gibson of Decatur, TN (formerly of Otsego) passed away Saturday, January 21, 2012 at Brookewood Nursing Center, Decatur, TN. Mrs. Gibson was born November 26, 1909, in Hopkins, MI to Jay and Rose (Wise) Nichols. She was a graduate of Otsego High School and for 86 years was a resident of Otsego. Pearl was a devoted homemaker; a loving, caring person who was completely selfless. Her wonderful example will always be indelibly etched in the memories of her family and friends. Surviving are three sons, John B. (Jeanne) Gibson of Austin, TX, Frank H. (Janice) Gibson of Greenfield, TN and Floyd A. (Connie) Gibson of Cleveland, TN; seven grandchildren; nine great-grandchildren; a sister, Hazel Maxwell of Glenn, MI; a sister-in-law, Paula Lutes of Plainwell, MI; a brother-in-law, Archer Woodstock of Otsego, MI; many nieces and nephews. She was preceded in death by her parents; her husband, Howard Gibson, in 1986; and by eight brothers and sisters. The Gibson family is thankful to Caris Healthcare professionals for loving attention to Mom’s comfort and needs during the past couple years and for keeping the family apprised of her condition during the times that they were unable to be there. Friends may meet with her family from 10:00 A.M.until the time of the funeral services at 11:00 A.M. Wednesday, February 1, 2012 at Winkel Funeral Home, Otsego, with funeral celebrant Bill Rose officiating. Burial will follow at Mountain Home Cemetery, Otsego. Contributions in memory of Pearl may be made to The Alzheimer’s Association. 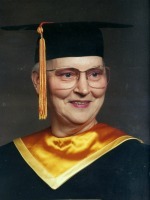 Patricia J. Baker of Plainwell, Michigan passed away Saturday, January 21, 2012 in Kalamazoo. Pat was born on April 3, 1932 in Eaton Rapids, MI to Mr. and Mrs. Murphy. She moved to the area with her family while she was still in school. Following her education Pat began working for Valley Metal as a bookkeeper. In 1961 she began working at Plainwell Community Federal Credit Union which she helped run until her retirement in 1994. For the last 18 years Pat had worked part time for Hart’s Jewelry in Plainwell. Over the years she had also had her own income tax return business and had served as the Gun Plain Township Treasurer for 12 years. Pat enjoyed knitting, playing golf, bridge, tennis and was a great bowler who had been the Kalamazoo Area Bowling Champion. Pat had a love for her family and for all animals, especially her dog. Surviving are two sons, John and Tal Baker both of Plainwell; her sister, Peg Roberts of FL; her brother, Kelly Murphy of Plainwell and several nieces and nephews. She was preceded in death by her parents and by her husband John A. Baker who preceded her in death in 1994. Friends may visit with her family on Tuesday, January 24, 2012 from 4 to 6 P.M. at the Winkel Funeral Home, Otsego where funeral services will be held on Wednesday, January 25, 2012 at 11A.M. with Pastor Paul Fazio officiating. Burial will follow at Hillside Cemetery in Plainwell. Contributions in memory of Pat may be made to the ASPCA. 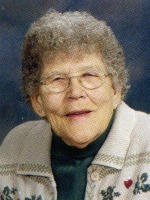 Norma J. Campbell of Otsego, Michigan passed away Thursday, January 19, 2012 in Plainwell. Norma was born September 24, 1937 in Otsego to George and Effie (Kenyon) Edson and was a lifelong resident of the area. She was a devoted homemaker and in her leisure time enjoyed doing crafts and working puzzles. Surviving are two sons, Tim (Adrianne) Campbell of Plainwell and James (Robin) Campbell of Lawton; 9 grandchildren; 2 great-grandchildren; siblings, Beverly Hill, Eileen (Ron) Howrigon, Jim (Chris) Edson and Linda (Jack) Holmes; 2 step-brothers and 2 step-sisters; many nieces and nephews. She was preceded in death by her parents; her step-father Bill Harper; 2 brothers, Bob Edson and Bill Edson; 2 sisters, Irene Skinner and Lucille Farr. In keeping with her wishes cremation has taken place. Friends may visit with her family at the Winkel Funeral Home, Otsego, on Saturday, January 28, 2012 from 10:00 A.M. to 11:00 A.M. at which time a Memorial Service will be held, Pastor Don Boss officiating. Burial of ashes at Mountain Home Cemetery, Otsego, will take place at a later date. 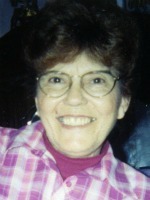 Madelene Reynolds of Portage (formerly of Plainwell) went to be with her Lord January 9, 2012. Mrs. Reynolds was born July 7, 1916 in Pearl, Michigan, to Winfield and Cora Bell (Tuttle) Bunce. On March 20, 1933 she married Wm. Orville Reynolds and for many years they owned and operated a dairy farm in Kalamazoo where they raised their five children. After retiring from the farm they operated an antique business. She enjoyed ceramics and gardening, and at age 60 started oil and water color painting. Madelene was a wonderful Christian mother and a true homemaker. She will be remembered as a generous Christian woman with a sweet spirit that touched many lives, one who was always busy helping others. She was a happy, healthy person. Madelene was very much loved and will be greatly missed. Preceding her in death were her husband, Orville; her daughter, Helen Zinn; 5 brothers and a sister. Surviving are four children, Bill (Ann) Reynolds and Evelyn (Jack) Smith, both of Kalamazoo, Joyce McBain (Jerry) Tiller of Plainwell and David (Robyn) Reynolds of Hastings; 15 grandchildren; 26 great-grandchildren; 2 great-great-grandchildren; 2 sisters-in-law, Mable Bunce and Eleanor Bunce; many nieces and nephews. Friends may visit with her family beginning at 10 A.M. Thursday at the Winkel Funeral Home, Otsego, where Funeral Services will be held at 11:00 A.M., funeral celebrant Bill Rose officiating. Burial will follow at Mount Ever-Rest Memorial Park, Kalamazoo. Contributions in memory of Madelene may be made to the Kalamazoo Gospel Mission or Loaves and Fishes.